Today is Day 11 of our 12 Days of Christmas in July Giveaway. You can enter each day to win the prize of the day! Contest rules and how to enter are below. On the eleventh day of our 12 Days of Christmas in July Giveaway, my true love gave to me…these Roasted Berry Yogurt Pops from Rodelle! Rodelle is a company with a passion for quality ingredients. Born from a family with a love of baking, Rodelle has been committed to creating the best ingredients for all your baking creations. 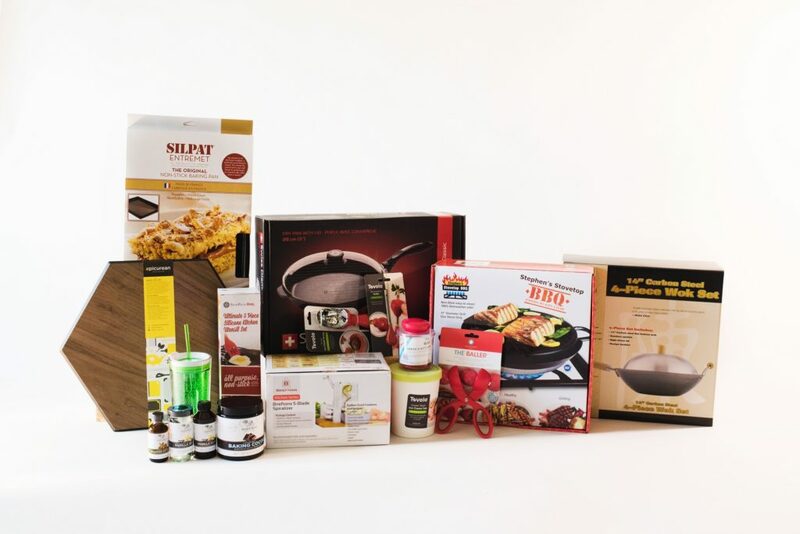 With these premium baking ingredients, you’ll get rich, delicious flavors out of any recipe you try. 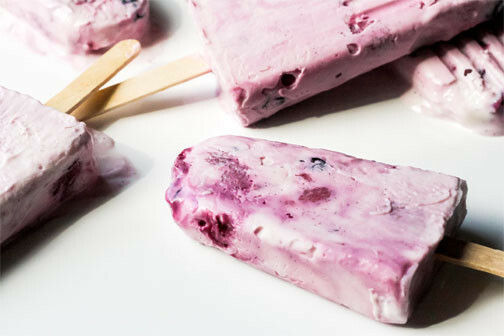 Give these Roasted Berry Yogurt Pops a try, and then try your favorite recipe and see what a difference Rodelle ingredients make! What is your favorite recipe with vanilla? Winner will be announced here on the blog July 27, 2016 as well as contacted by the email address provided. You have until tomorrow, July 26, 2016 at 11:59p EST to leave your comment on the project above. Comments posted after that will not be counted. THIS CONTEST HAS ENDED. Check out the rest of the 12 Days of Christmas in July giveaway series. There is still 1 chance to win! 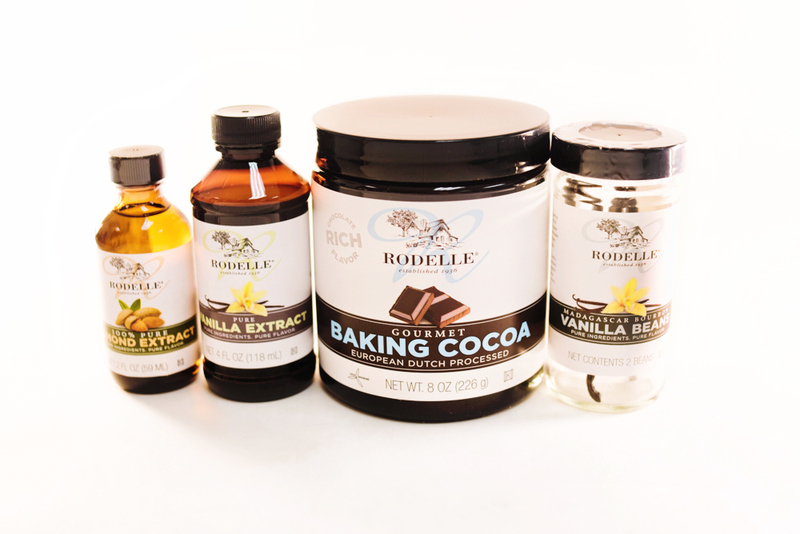 You’ve won the Ultimate Baking Set – 100% Pure Vanilla Extract, Madagascar Bourbon Vanilla Beans, Pure Almond Extract, Gourmet Dutch-Processed Baking Cocoa from Rodelle! You will receive an email shortly. Homemade whipping cream with lots of real vanilla and sugar cookies. Home made peanut butter fudge with vanilla… YUMMY!! I love vanilla iced coffee. Also cheesecake. My favorite recipe to make with vanilla is chocolate chip cookies. Coincidentally, they happen to be my favorite dessert to eat! My favorite recipe with vanilla is peach vanilla bourbon jam! I tried these and they were very good and easy to do. Great idea! Vanilla Ice Cream of course! I don’t have a favorite, chocolate chip cookies, cheesecake, sugar cookies all so yummy! To win this would be so fun and tasty, thanks for the chance and good luck to all. My Favorite to make is French Vanilla Ice cream!!! I have a lot of favorites that use vanilla – chocolate chip cookies, homemade chocolate brownies, pudding – oh so many! I like Vanilla Butter Cookies. Maybe run the berries through a food mill after roasting…no seeds..Yum! My favorite recipe with vanilla? I actually use vanilla in my sweet potatoes – I had a male friend make some for me once, and his were SO good! When I asked him how he made them, the secret ingredient was vanilla! 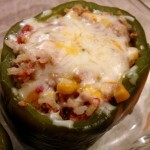 I’ve been making them that way ever since and always get rave reviews! My favorite recipe with vanilla is chocolate chip cookies! My favorite recipe with vanilla is a homemade vanilla chai latte. I brew green tea. To that I add pure vanilla extract, honey, pumpkin pie spice, and half-and-half. 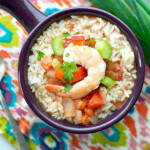 It’s simple but delicious and I almost always have the ingredients on hand. Plus you can change it up and make a whole new drink by adding different flavors like almond or coconut extract. My favorite recipe using vanilla is Easy Microwave Fudge. Yummy year around! I’m more interested in the cocoa, my family likes chocolate and cocoa in my chocolate cake recipe would make it extra special. So many yummy things to make with vanilla, so it’s hard to pick just one. But if I must, it would have to be that all American classic, chocolate chip cookies….you just can’t eat one! why can’t you eat one? Or did you mean “you can’t eat just one”? It’s true that chocolate chip cookies are wonderful, but the language we use is at least as important! I love making fruit dip with real vanilla. Thanks! There are just about a million, but I love sugar cookies with a nice vanilla taste. My mother’s root beer float recipe that she handed down to me includes a dash of vanilla extract. It makes it more smooth tasting. I grew up with this special treat on occasion and now I can let my nephews taste it’s wonders too. Cookies are good with vanilla; however, I enjoy making my sweet potato casserole with vanilla mixed in it. 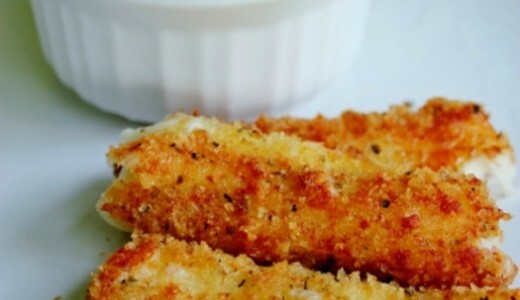 When adding vanilla to this casserole with all the other ingredients it just makes it so tasty. Makes me want to go make it now. I’d have to say old fashioned chocolate chip cookies. Truly the best! my favorite recipe with vanilla is sugar cookies. i love them so much. Vanilla in my waffles recipe! Just plain old vanilla ice cream! My favorite recipe with vanilla is sugar cookies. I love making pumpkin rolls with vanilla. So yummy! My favorite recipe with vanilla is creme brulee. let’s go with the most recent instead (there’s too many things that vanilla ‘adds’ a nice touch to) … my daughter’s cinnamon rolls ran out of ‘topping’ and I made a butter/cream cheese topping with vanilla …. YUM! To win this package would be so fantastic, thanks for the chance and good luck to everyone. My favorite recipe with vanilla is cheesecake. I make a zucchini bread that calls for a few tablespoons of vanilla. My nephew who is not a veggie fan loves this bread so I love to make it for that reason. My favorite recipe with vanilla is chocolate chip cookies. any kind of cookies or bars need good vanilla. Cream Cheese Pound Cake from the Southern Living Cakes cookbook is my favorite recipe to make where I use vanilla extract. Because it is July and hot, of course homemade vanilla ice cream cannot be beat, but any cookie, even with other flavorings, always benefit from good vanilla extract. I love making vanilla cookies & pound cake. Yum! My favourite recipe with vanilla would have to be vanilla fudge. I like to add in a little vanilla when making French toast. Creme Brulee with a touch of vanilla bean. I like to add a vanilla bean to a few cups of white sugar , and use this when baking cookies and cakes. I use pure vanilla for all my treats! Even if it’s a box cake, really improves the flavor! I like to make a frosted vanilla sugar cookie with sprinkles on top! My favorite baked cheesecake with a touch of almond extract as well. I add a tsp of vanilla to whipping cream and decrease the sugar added by half. My favorite vanilla flavored dessert is a sponge cake trifle with lots of rich vanilla Creme anglais, fresh fruit and real whipped cream. Since it’s 99 degrees outside right now I wonder if a frozen trifle might be even better today. Almost anything. I love the taste of food with a good vanilla flavoring. 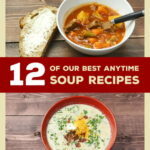 I usually add just a bit more than recipes call for just so I get that rich taste. My favorite vanilla recipe is sugar cookies, or is it vanilla iced coffee, anything with vanilla basically. Chocolate brownies with vanilla cream frosting! I’m a sucker for my grandmother’s chocolate pie recipe that uses vanilla. I love using vanilla in almost everything but I love adding it to my “Pineapple Upside Down Cake” Thank You for the chance to win this great giveaway! Definitely Fudge – so many flavors to choose from too! That’s a tough question! But I think I have to say homemade vanilla ice cream!! My favorite recipe using vanilla is for vanilla ice cream – it’s heavenly! My favorite recipe to use vanilla in is scrambled eggs. I know it sounds strange, but it adds a fluffiness and quality to the eggs that makes them disappear quick, fast and in a hurry and that you just can’t get from any other ingredient. Have lots but I love French Toast. I love using Vanilla in my rice pudding!! I add vanilla to my pancake batter, yummy! I love a good homemade vanilla custard pudding, very versatile and also comforting. 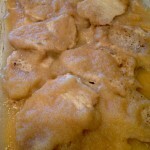 There are so many things to add vanilla to, but one of my most favorite is peach cobbler. My mother’s recipe for pound cake. I heart the chocolate chip cookie! My husband says coffee and ice cream. I love vanilla in so many things it’s hard to say. The recipe that wouldn’t be the same at all without it is Kahlua. I love adding vanilla to my Swiss meringue buttercream. Carrot cake with cream cheese frosting. I dream of it. From eggnog to cheesecake to ice cream to coffee drinks to chocolate chip cookies and pumpkin pie, vanilla makes almost everything taste better, and naming a favorite is almost as hard as saying you have a favorite child. I’ll go with chocolate chip cookies. Mix vanilla with plain, unsweetened yogurt. Then add either some raisins or natural fruit juice or raw honey. Adding frozen bananas also are also delicious. My homemade vanilla ice cream and then tapioca made with lots of real vanilla. This time of year it is so hot that all I can think of is home-made vanilla ice cream…with homemade chocolate topping. I put it in my peanut butter fudge! YUM. My favorite is sugar cookies at Christmas. Russian teacakes, love, love them at Christmas. My goodness, so many recipes that benefit from a great vanilla, but my tart crust is awesome when I add the best vanilla I can get! I put vanilla in EVERYTHING, but most recently I have been putting it in my overnight oats along with chia seeds and honey. I’m hungry for Lemon Poppy seed bread. I always add vanilla to my butter cookies, makes them taste awesome. French toast. So good with vanilla! I just made them over the weekend – No Bake Cookies – YUM! My favourite dish with vanilla is Butterscotch Oatmeal Bars which have been a favourite family recipe since the early ’60’s when my Mom discovered the recipe. I like to make vanilla frosting for my cakes. My favorite recipe is for vanilla cheesecake. Right now my favourite recipe with Vanilla is one I have for overnight oats. I use a kind of old fashioned oats that are lightly toasted so they’re heartier, and mix them with cinnamon, freshly ground nutmeg, dried orange peel and vanilla bean paste along with some whole milk and a bit of half and half. I also throw in some of whatever berries in my kitchen need using most, blackberries are my favourite. After an overnight chill in the fridge it tastes like someone threw crumbled up oatmeal cookies in melted vanilla ice cream with berries. YUM! Chocolate chip cookies! With vanilla! My favorite recipe with vanilla is Chef John’s Lemon Bars. The recipe calls for vanilla extract in the shortbread crust. The vanilla smells heavenly when baking and it goes nicely with the soft, lemony filling. I can eat the whole pan. My favorite recipe with vanilla is a nice Vanilla Latte with Nutmeg on top. Vanilla has always been my favorite when it comes to milk shakes,,,and a little extra vanilla makes it even better.. I like it in everything, especially vanilla ice cream. I have an oatmeal cookie recipe where the vanilla flavor really comes out! It is the BEST! My favorite recipe with vanilla is candied pecans. My favorite thing to make using vanilla is cheesecake. Yum! vanilla yogurt with any kiind of berries. Homemade vanilla ice cream. I love it! Oh my gosh, how can I choose just one recipe that uses vanilla?! The first thing I thought of was cream pies, but pumpkin snicker doodles are amazing, too. I like Chocolate chip cookies made with vanilla. 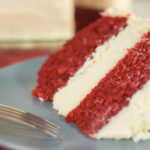 My favorite recipe with vanilla is ice cream cake. I use vanilla in most of my baking so it’s hard to come up with a recipe that I like the best. Mostly I use vanilla in cookies and some quick breads. I love making my chocolate buttercream frosting. Mine is chocolate chip cookies. Chocolate chip cookies! And I always use two teaspoons of vanilla for better flavor even though most recipes call for only one. My favorite recipe is Sugar Cookies. Right now my favorite recipe with vanilla is homemade vanilla ice cream – yum! My kids and I love making and eating cream cheese butter icing (that contains vanilla) on baked goods i.e. cakes and cupcakes that also contain vanilla. In addition to vanilla milkshakes…ohhh so yummy in the summer heat! I love vanilla custard so that is one of my favorite vanilla recipes. I put vanilla in everything so it is hard to pick a favorite but probably gave yo say my Creme Brûlée. My favorite would be all my Christmas cookies. My favorite is hand churned vanilla bean ice cream. I love to put vanilla in homemade whipped cream. Homemade hot cocoa with vanilla is the best! Love putting it in home made whipped cream. Thanks for this giveaway. Favorite recipe using Vanilla is my grandma’s recipe for her homemade Tea Cakes and my Vanilla Bean Ice Cream. 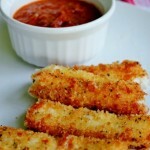 Delicious Summer or anytime treat! Homemade vanilla ice cream with chocolate shavings. I love making vanilla whipped cream to go on top of hot chocolate, iced cream, and fruit! Vanilla is my top pick for flavourings and so versatile too! My fave vanilla recipe is creamy vanilla fudge. Classic crispy sugar cookies! 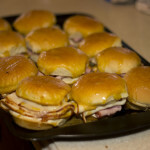 A passed down recipe from my neighbor! Cherry vanilla cake with vanilla buttercream frosting. I always add vanilla when I make cannoli. I add it to to my waffle and pancakes too. My favorite recipe with vanilla is coconut cream pie. Vanilla-Rum Custard is my favorite. I lobe vanilla sugar cookies! I always add vanilla when making pancakes. It makes such a difference in the flavor. Vanilla cupcakes with buttercream frosting. Perfection! Chocolate (in any form) is the most popular food group! Every dessert recipe that has vanilla in it makes it better! But my favorite recipe is BUTTER TARTS!! I love making Baklava with real vanilla.